Have you been searching for your next home away from home, but do not want to be tied down by a timeshare or stay in a stuffy hotel? If so then you needed to head to your local Airstream dealer in Wisconsin and see one of the many new and used Airstream trailers for sale. At Ewald’s Airstream of Wisconsin we are known for having a large and diverse selection of new and used Airstream trailers for sale in Franklin, WI. We have everything from an Airstream Flying Cloud to an Airstream Basecamp for sale and everything in between. Not only that but here at Ewald’s we also have a team of friendly and knowledgeable people who are happy to answer any and all questions you may have about one of the many new and used Airstream travel trailers for sale. That is because we understand just how frustrating it can be trying to find RVs and trailers that fit your wants and needs here in Franklin, WI. Which is why we have such as large inventory here in Franklin, WI. That includes many Airstream Bambi trailers for sale like the Airstream Basecamp for sale. This Airstream for sale is perfect for anyone looking to take the path less traveled with many features that will make your next camping adventure a breeze. The Airstream Basecamp can sleep two people comfortably on the convertible sofa bed that can become two twin-sized beds or one queen sized bed. 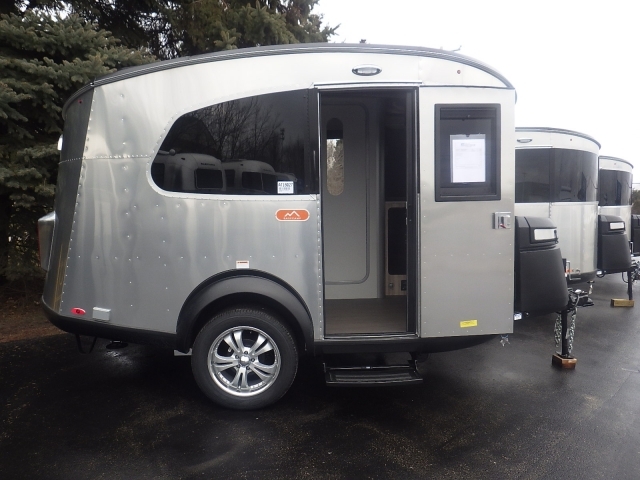 Do not let the size of this Airstream Bambi for sale fool you with hidden storage features throughout the trailer you will be able to bring the comforts of home with you no matter where you go. 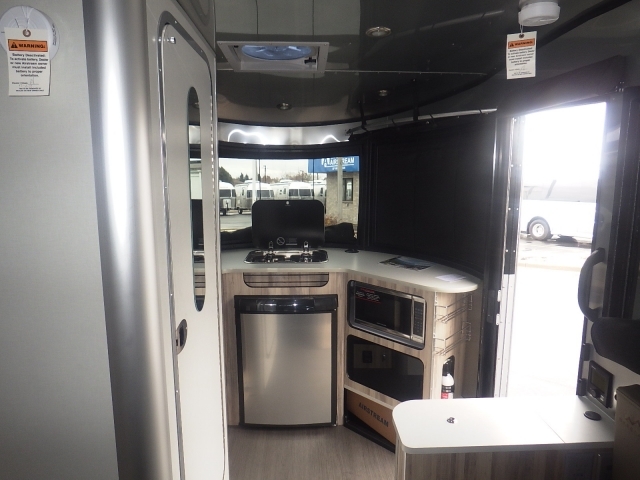 The Basecamp also comes with a small kitchen that will allow you to have all the space you need to prepare and serve all of your favorite meals. This Airstream travel trailer for sale also comes with storage features that will keep your living space feeling clean and clutter free. Bungee style storage allows you to keep all of your things up and out of the way, and if they need to dry out. Hidden storage under the Sofa bench lets you keep the things you do not use on a daily basis safely and put away. Stretch out even more with attachable side and rear hatch tents, that let you enjoy the fresh air without the annoyance of bugs.